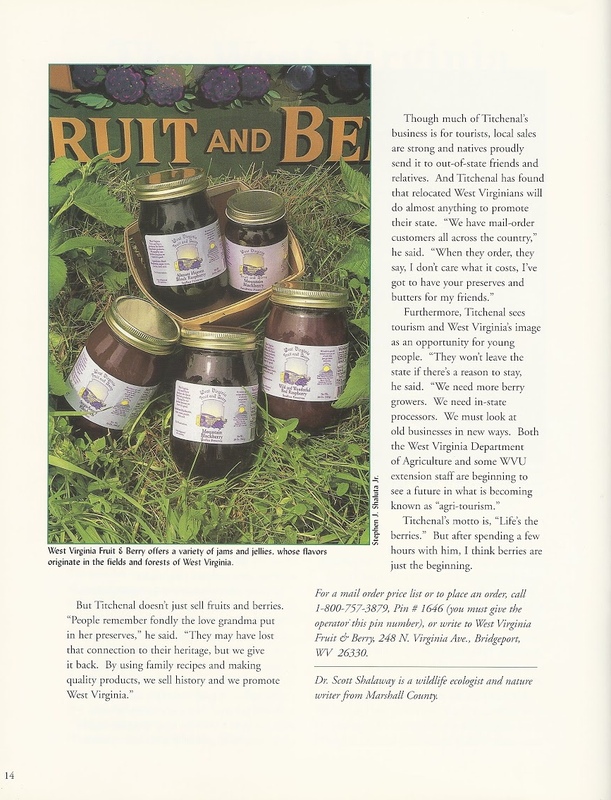 West Virginia Fruit and Berry has been featured in several newspapers, magazines, and publications. The following Publications have recognized us for our Agri-Tourism ideas at our farm as well as our Marketing Plan for our line of fruit and berry products now available in over 600 Retail Outlets in the region. Froggy 99 did a taste test between us and Smuckers brand! Listen to the results! Local and State Television Stations have featured us on special food or Agri-Tourism segments. A Proclamation was presented us by The County Commission of Harrison Co.
Naming August 1st 2000, “West Virginia Fruit and Berry Day” in our Harrison Co.
Named one of the 55 Best Things in WV May-June 2008 in “The State Journal”, newspaper in Charleston, WV. 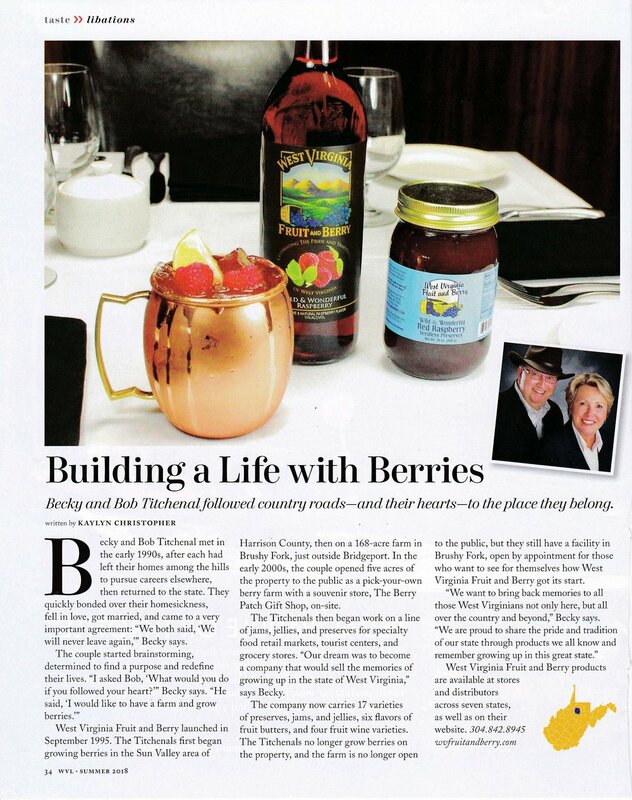 Named the Best Gift in WV in October Issue of “Successful Meetings Magazine”. 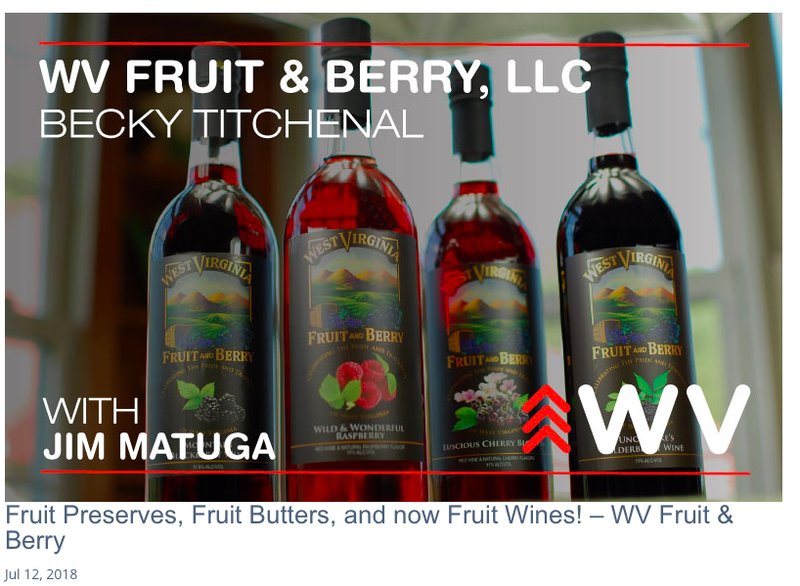 Named one of two businesses in WV chosen for this award, we were one of 102 beneficiaries from every state in the USA. Won $1,000.00 cash award and a trip to attend the SCORE Small Business Educational Event that took place January 23-24 in Dallas, TX. Business Educational Event that took place January 23-24 in Dallas, TX. The Merchandise Mart Christmas Show in NC with the WV Dept of Agr.